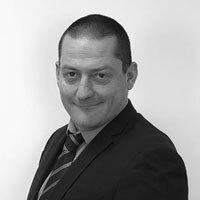 Steve’s career began in the claims department of the West of England Protection & Indemnity club in 1987. As he progressed to an Associate, he learned how to deal with various claims in the Shipping industry. In 1992, he decided to take up an exciting new challenge and join the Lloyds of London Claims Office, where he worked as a claims adjuster, eventually being promoted to Manager of the Personal Accident department. 1997 brought another new challenge when he was approached by a Lloyds broker to join them. This was the first time he would have to broke claims to the adjusters, that he had previously worked with. After an enjoyable 5 years, he was headhunted by Aon, the world’s largest Reinsurance Broker, who invited him to join their broking team and it was here that he met Richard for the first time. During a successful 15 year career at Aon, he progressed up the ladder to become Assistant Manager of the broking department. In search of a new challenge, he joined Allan Reece Associates LLP in September 2018, and is currently working towards obtaining his professional qualifications. During his spare time, he enjoys spending quality time with his family, socialising with friends and watching his beloved Spurs lose.